And ensured bipartisan opposition to this disastrous legislation. A quiet attack in Congress didn’t make the headlines — but it’s putting one of America’s greatest environmental success stories at risk. The restoration of our fisheries is a remarkable bipartisan success story that has brought ocean life back from the brink while securing a brighter future for American coastal communities. H.R. 200 — which recently passed the House — would undermine the science and tools that made all of this possible. But your Representative sided with common-sense to ensure bipartisan opposition to this disastrous legislation that would jeopardize our hard-won gains. Your Representative’s stance gives us a better shot at stopping this attack in its tracks in the Senate. Send a note of thanks today! I'm writing today with extreme gratitude for your opposition to the House of Representative's dangerous attack on one of America's greatest conservation success stories. 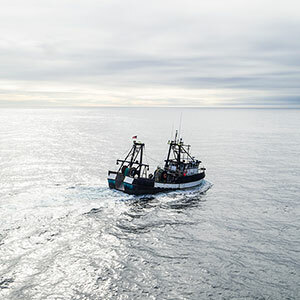 It is shocking that the majority of your House colleagues would jeopardize the hard-won gains that have overcome decades of failure to restore our fisheries to health and secure a brighter future for coastal communities, the seafood industry, and anglers. In standing against this bill, you ensured that bipartisan concerns were clearly reflected in the House's vote. Please encourage your colleagues in the Senate to join you in fighting this and any other similar or future attacks. Our families and communities are counting on bipartisan leaders like you.